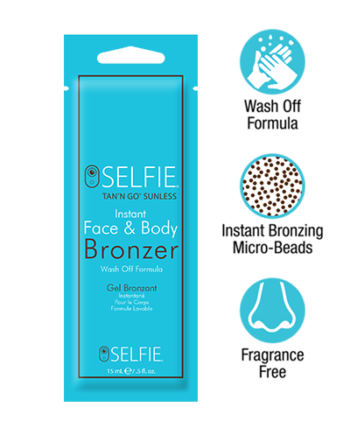 (1) Instant Face Bronzer 1.0 oz. 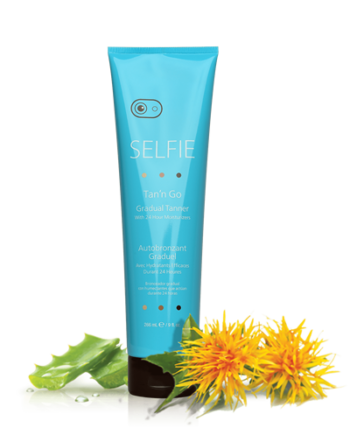 (1) Gradual Tanner 2.0 oz. 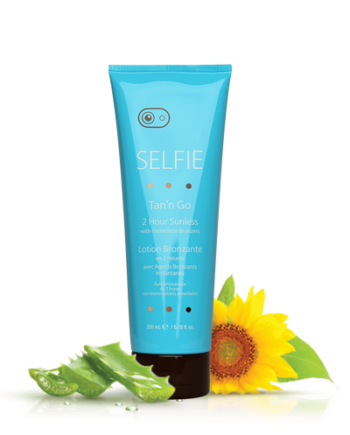 (1) 2 Hour Sunless Lotion 2.0 oz. 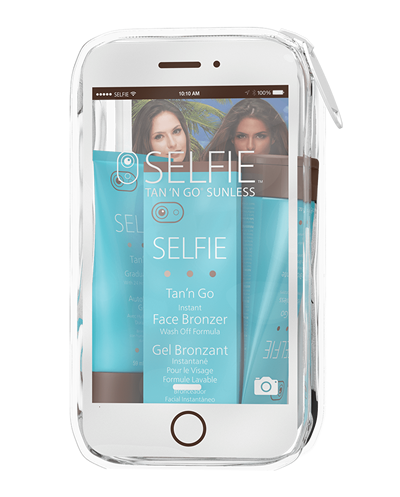 All formulas within the Selfie® Mini Travel Kit are for external use only. 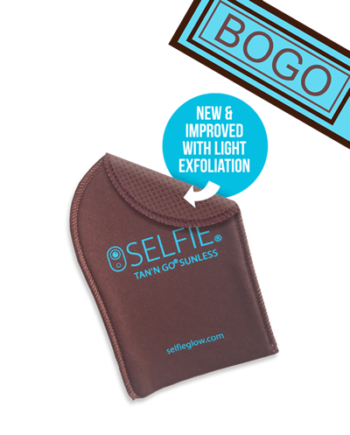 To achieve optimal results you can use an exfoliating mitt to buff off dead skin cells before use. 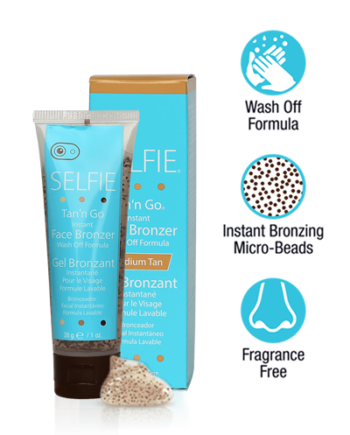 Selfie® self-tanner formulas can be used with your hands or with help from an applicator mitt. 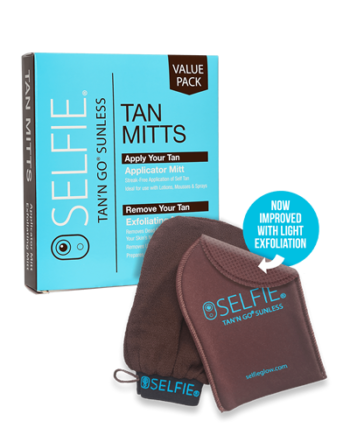 Their advanced technology provides a streak-free formula with every application to give you a flawless, glowing, bronzing tan. 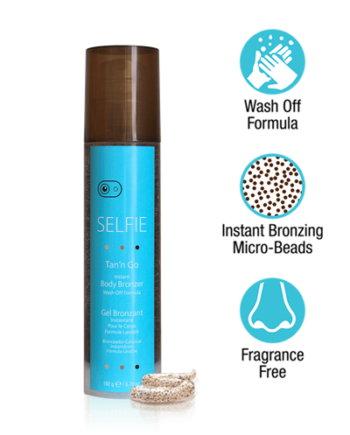 Squeeze a small amount onto your palms, rub your hands together to activate the instant bronzing beads. 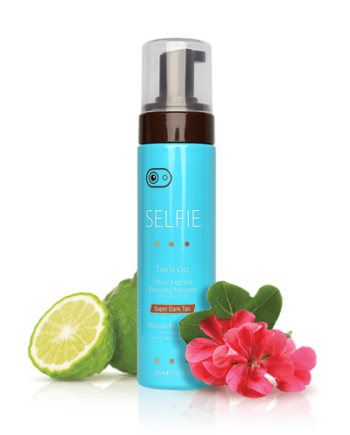 Gently smooth over the desired area of your face using small, circular, blending motions. Wash off hands after application. 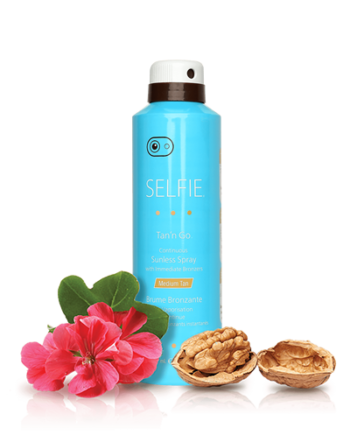 To remove tan, wash your face with a gentle soap and water. 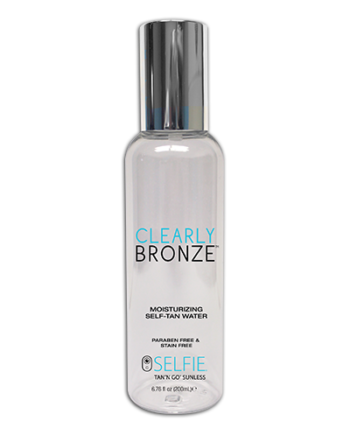 The Instant Face Bronzer can be used alone or under your makeup for a natural sun-kissed glow. Exfoliate your skin before use. Squeeze a small amount onto your palms or applicator mitt. Apply to fresh, clean skin using circular, blending motions. Continue applying formula until evenly covered. Wash hands after use with soap and water. Reapply daily for a deeper color. 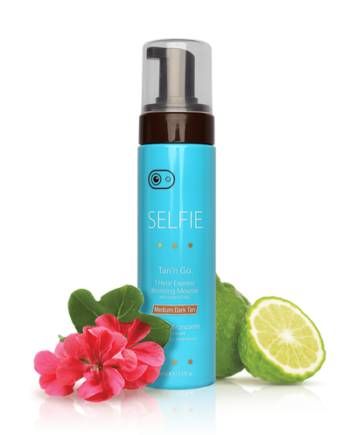 Once the desired color is achieved, you can reapply every other day to maintain tone or to extend and preserve your sunless tan. 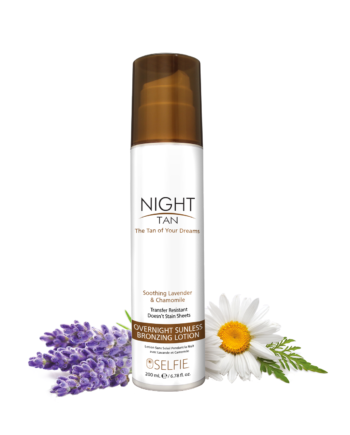 The Gradual Tanner with 24-hour Continuous Moisturizer can be used in place of your daily moisturizer to help you maintain a glowing tan all year long.